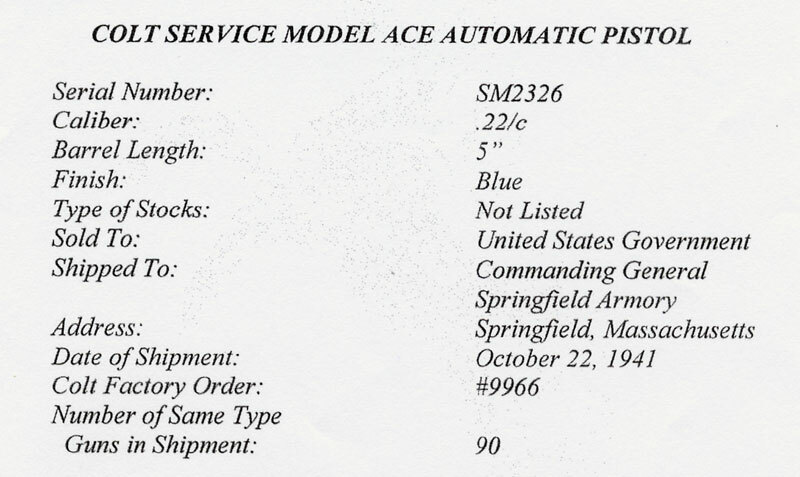 Colt Service Model Ace Serial Number SM2326 - WWII issue, RS inside a Box for Colonel Robert Sears. The slide is numbered to the gun. The pistol belonged to U.S. Navy Captain Arthur Stark of the USS BARBET, a mine sweeper which worked mainly the area surrounding the Panama Canal. 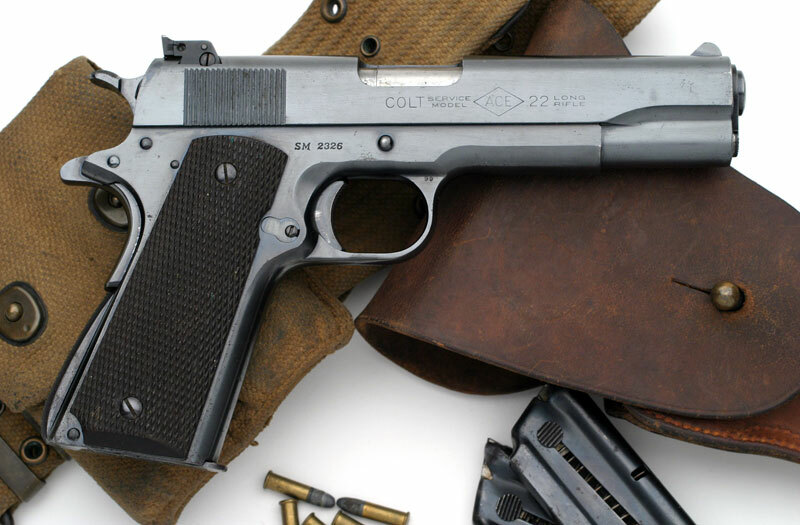 Colt Service Model Ace serial number SM2326 was one of 90 pistols sold to the United States Government and shipped to the Commanding General, Springfield Armory, Springfield Massachusetts on October 22, 1941. 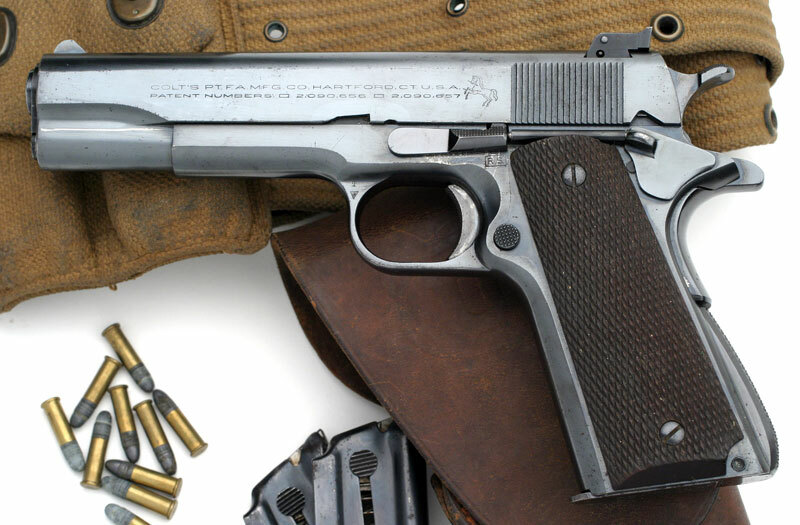 It was processed on Colt Factory Order number 9966. 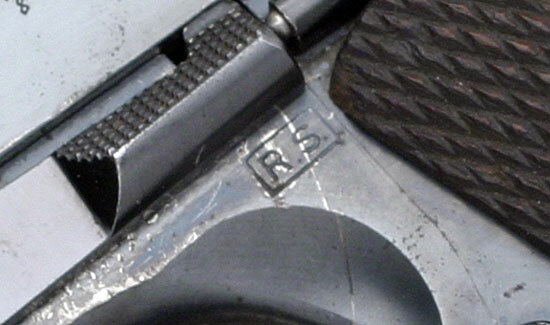 Close-up of the R.S. ordnance mark. Colt Service Model Ace SM2033 right side view. 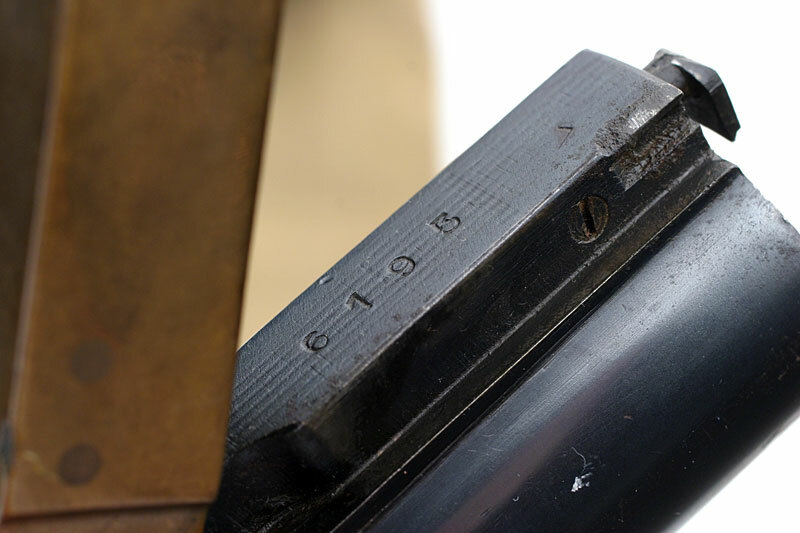 Right side close-up of serial number. 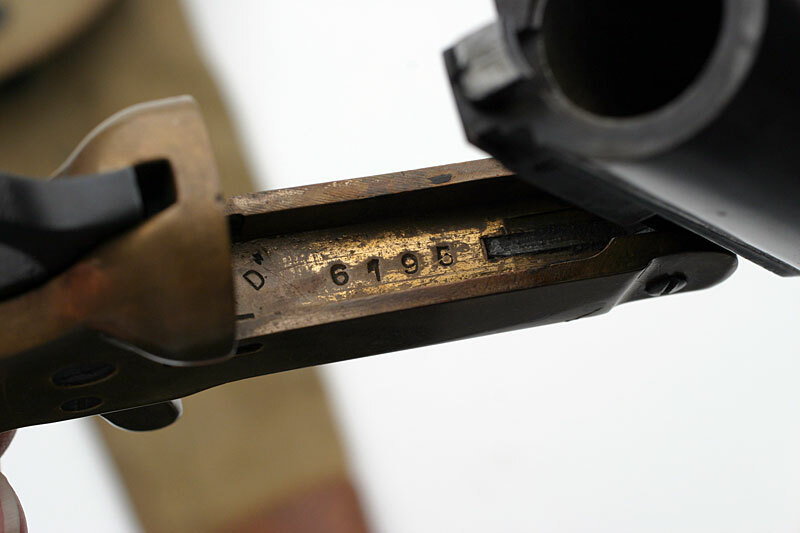 Note: there is no UNITED STATES PROPERTY mark above the serial number on the frame as there is on some guns in this serial number range. This Remington MkIII 10 gauge Very flare gun (ca. 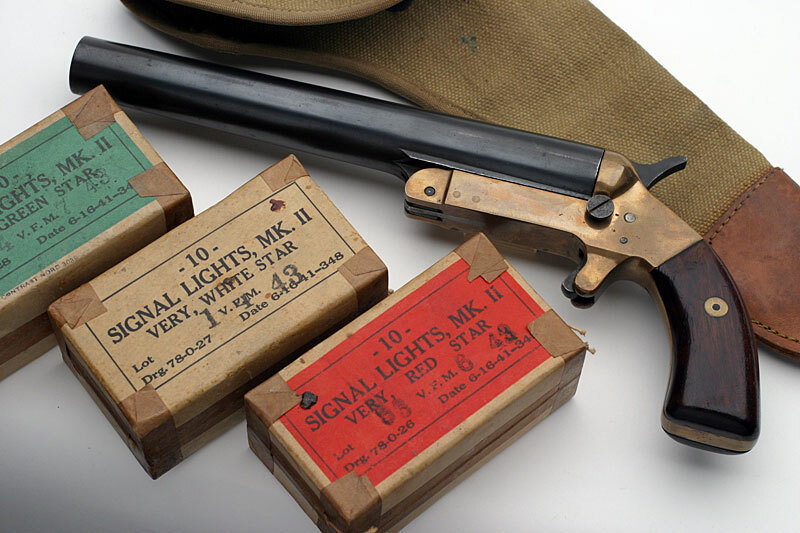 1943) with accompanying holster and three original boxes of flares (green, white & red) was also owned by U.S. Navy Captain Arthur Stark of the USS BARBET. Mark III - The Remington Arms-Union Metallic Cartridge Co. Inc., Remington Bridgeport Works-Bridgeport, Connecticut, U.S.A.